The figure shows the ten most expensive acquisition by Google. 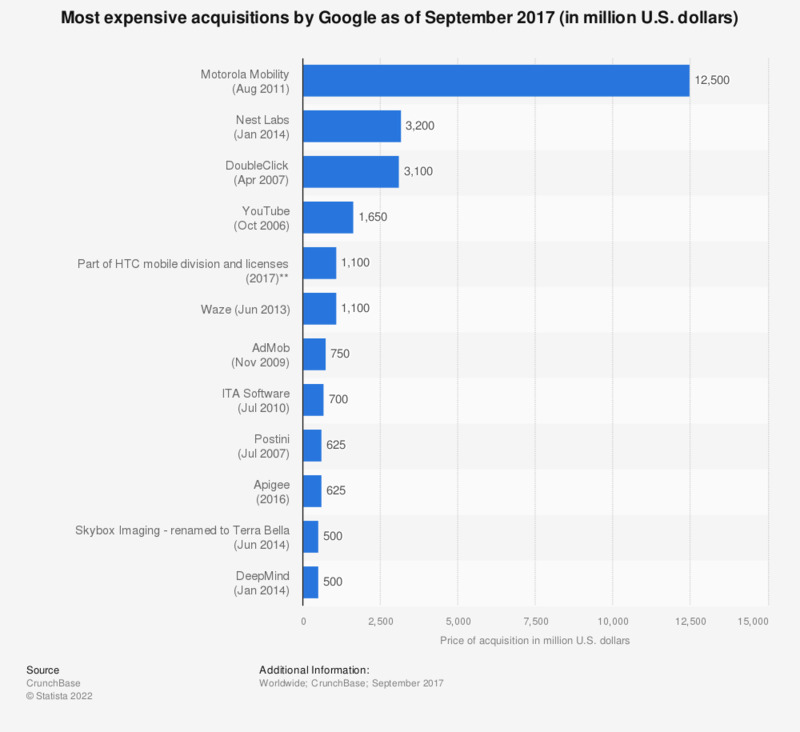 Acquired in January 2014, smart thermostat creator Nest Labs is ranked as Google's second most expensive acquisition at 3.2 billion U.S. dollars. Motorola Mobile was the most expensive acquisition by the internet company. As of May 2017, Google/Alphabet ranks second among worldwide internet companies, with a market capitalization of 680 billion U.S. dollars. On June 20, 2014, Google-owned NestLabs announced that they acquired Dropcam for 555 million U.S. dollars. Google has acquired more than 100 companies over the past ten years. Further data available via CrunchBase. Part of HTC's mobile division was purchased in September 2017 for 1.1 billion U.S. dollars.